On Monday, a meeting was held at the Finisterre Hotel in La Coruña between representatives of organizations promoting the Camino de Santiago in up to 14 countries. The occasion, the celebration this week of the First International Meeting of the English Way, in which the Provincial of La Coruña collaborates and with which it is tried to unite members of associations of the Camino de Santiago with representatives of the tourist field to put in value and to promote this route. 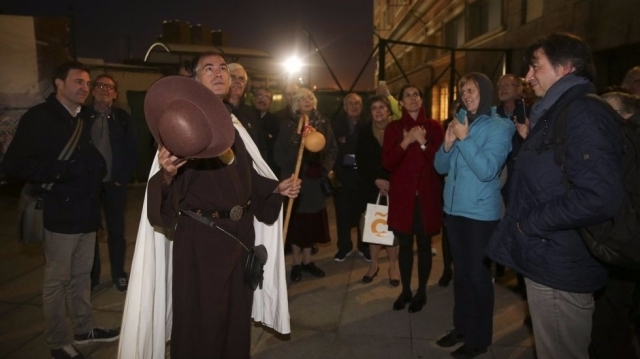 Representatives of the associations have taken advantage to enjoy a route throughout the city visiting the most important points related to the English Way and its symbology, and to Tuesday embark on the Jacobean Route for four days, starting from the Plaza María Pita de A Coruña and concluding its way in the Obradoiro square of Santiago de Compostela next 2 of December. In this first meeting, which will serve as a germ to promote the English Way in countries such as Canada, United States, United Kingdom, Japan, South Africa, Australia, Holland, Hungary, Ireland, Norway, Brazil or Belgium are also looking for a starting point So that administrations are involved in the promotion of this route, whose potential has not been exploited to the same extent as other routes such as the Portuguese Way or the giant French Way.